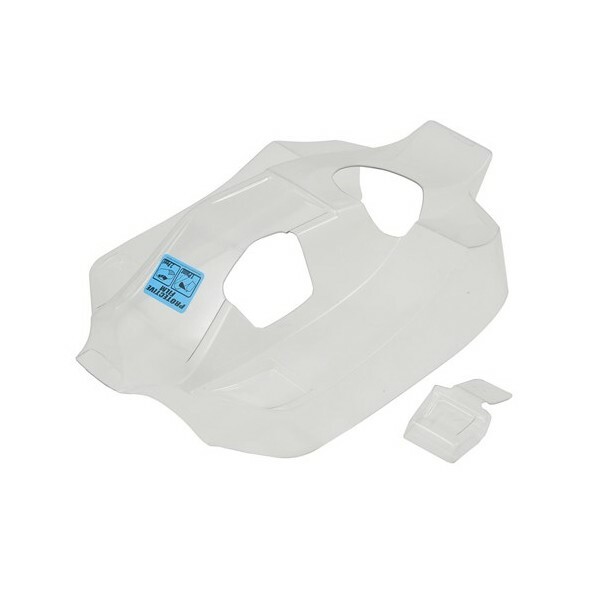 Pro-Line MP9 TKI3 Type-R 1/8 Buggy Pre-Cut Clear Body. 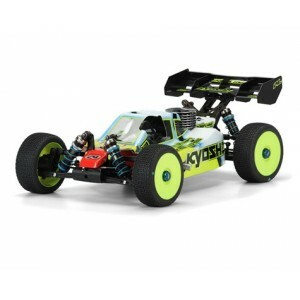 Type-R came from the mind of Pro-Line Team Driver Ty Tessmann with a unique mid-cab look and undercut side pods that break away from all of the recent cab forward trends. 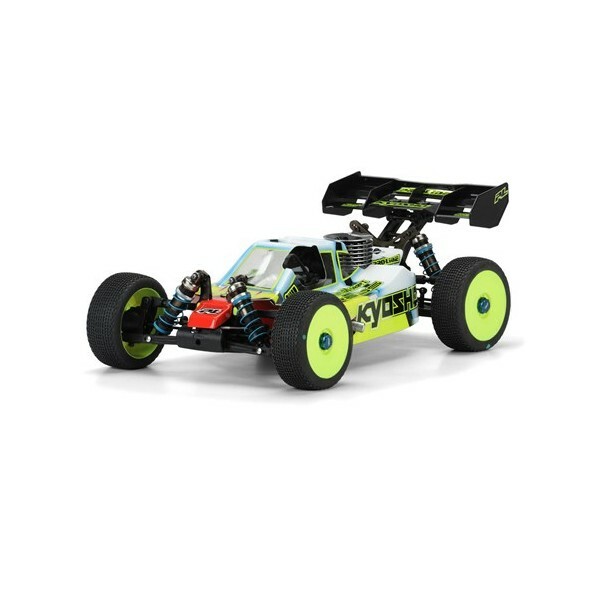 It fits perfectly around the TKI3 1/8 Nitro Buggy parts and features kick up in the rear of the body for balanced front to rear down force. The Type-R comes completely cut out, including the engine and fuel openings to get you onto the track faster with less hassle. 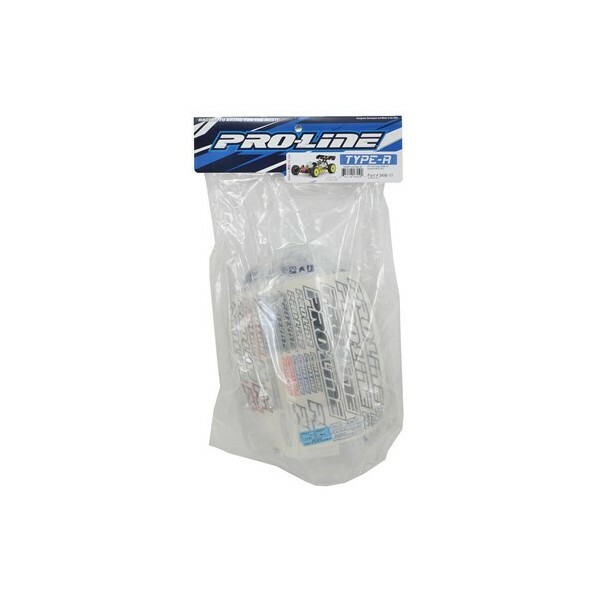 If you have the TKI3 buggy, then you NEED to get Pro-Line’s Type-R body!